At JAKE'S, you won't find pre-made frozen food on the menu. Our Signature burgers are hand-pattied, cooked to order and never frozen. To finish off their meal, guests enjoy a variety of our famous hand-dipped milkshakes – a customer favorite. Additional menu items include hot dogs, a variety of sandwiches, chicken fingers, and fresh salads. 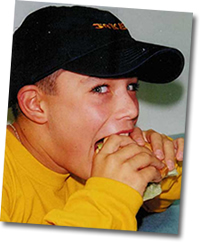 Franchising since 2002, and currently with 13 locations in operation, JAKE'S Hamburgers is now gearing up for aggressive growth. We are currently awarding franchises from Maine to Florida. Be a part of a concept that has been a tradition in Delaware for 18 years. We encourage qualified franchisees to open multiple locations through our Area Developer Program. Based on your application and financial information, you may be eligible to purchase more than one JAKE'S franchise up front and at a discounted rate. 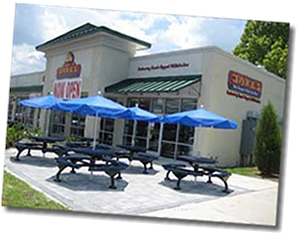 Alternatively, you may want to purchase a franchise, become familiar with the business, and then purchase your second or third JAKE'S franchise. For Single Unit franchises, the initial franchise fee is just $35,000 for a twenty (20) year term. The on-going royalties are a low 5% of gross sales and your National advertising fee is 2% of gross sales. For Area Development franchises (3 location min), the initial franchise fee is $75,000 (3 restaurants) each with a twenty (20) year term. The on-going royalties are a low 5% of gross sales and your National advertising fee is 2% of sales. A lot of time and hard work goes into opening a restaurant – we get that. That's why we provide you with a talented support team and a highly efficient opening process to set you up for success. Throughout the entire opening process you will be in constant contact with your designated JAKE'S representative. Your training will include a five day course at Jake's University located at our headquarters in Newark, DE, as well as an additional fourteen days of in-store training. Together you'll work through a checklist from the time you sign your franchise agreement to the time you open your doors to your first customers. Rest assured that when you become part of the JAKE'S family, you'll never be alone. 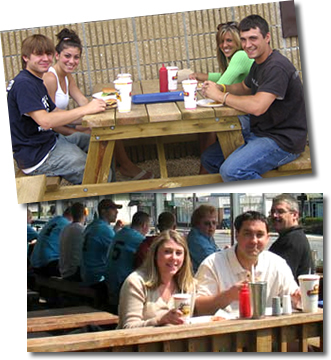 A well established franchise brand (18 years) with a loyal following, JAKE'S allows you to be in business for yourself but not by yourself. JAKE'S can help you realize financial freedom through a fun business ownership opportunity. CT, DC, DE, FL, GA, MA, MD, NC, NJ, NY, OH, PA, RI, SC and VA. Interested parties should have at least $75,000 liquid capital to invest. 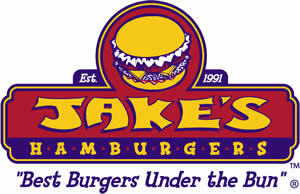 Click on Request Information button above for FREE information on how to start a Jakes Hamburgers franchise today! Please Note: Jakes Hamburgers franchises for sale, and other franchise opportunities, business opportunities, businesses and franchises for sale on this web site are not to be considered as an "offering", "franchise offering", suggestion or recommendation by GlobalBX. The franchises, businesses and business brokers seen on this web site submit their own individual content. This advertisement depends entirely on the truthfulness of the information provided by our advertisers which includes, but is not limited to, franchisers, franchises, franchise brokers, franchise consultants, business sellers and business brokers. As always, GlobalBX recommends that you consult a lawyer, financial consultant, accountant or professional advisor before buying a franchise or business opportunity or any type of business. By submitting this form and requesting more information, you have agreed to all terms and policies of GlobalBX and the business and franchise offerings listed here. Please review our Terms & Conditions for more information.